Black Friday is upon us again, perhaps the top sales day of the year, and one in which consumers the world over will spend untold amounts of money on heavily discounted merchandise. And those who are into gaming and looking to go out on a shopping spree will probably be asking themselves, should I go for a PlayStation 4 or an Xbox One console? And if one looks at the sales numbers for both consoles though, the answer appears to be clear, that the PS4 is a better buy. Because Japanese giant Sony just reported that it has sold a whopping 30 million consoles, making it the best-selling console ever during its first 2 years in the market, even surpassing the good old PS2 in the same period. This is important, because statistically speaking it is more likely that your game-playing friends will be gaming on a PS4, allowing you to play online together and share gaming moments on Sony’s PlayStation Network. For many people these days it’s not about getting a video game console, but a about “getting a PS4”, given the dominance of Sony’s machine. By contrast, Microsoft’s Xbox One has a smaller user base, mainly because the Redmond giant tried to market their machine as a “multimedia” console which sold with the Kinect at a steeper price than the PS4. Looking at other things, the PS4 is also a more potent console overall, with a superior graphics chip that allows games on the PS4 to run at higher resolutions than on the Xbox One. For instance, the upcoming Just Cause 3 will run at 1080p on the PS4 and 900p on the Xbox One, and this has also been the case with many other games this generation. Also the PS4 has a smaller form factor and takes less space in the living room, which is something that will likely be of importance to almost anyone looking to purchase a new console. 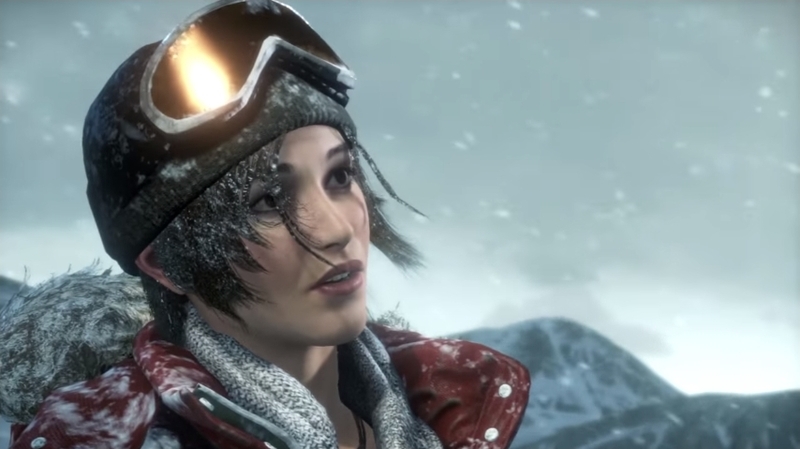 Rise of the Tomb Raider is a great timed exclusive on the Xbox One. But still, none of this may matter to you. Many people don’t notice the difference between 1080p and 900p, and brand loyalty is also a factor. Is you were a diehard Xbox 360 fan and would rather play Halo 5: Guardians than the upcoming Uncharted 4, then you might consider the Xbox One a better buy than the PS4, despite the perceived advantages of Sony’s machine. Also bear in mind that the excellent Rise of the Tomb Raider is available now on Xbox One, and won’t hit the PS4 until fall next year, which is something to consider if you can’t wait to play another Tomb Raider game. Also PS4 exclusives like Bloodborne, no matter how good the reviews, are not for everyone: it’s a bloody difficult title that could have gamers throwing their controller in frustration, and this might not be your idea of how to spend a relaxed holiday evening… And Microsoft also added backwards compatibility and other features to the Xbox One that might make gamers opt for their console this holiday season instead of going for Sony’s PS4. In the end though, both consoles are very similar and you’ll have fun with either machine, so it is all a matter of price in the end. And given than casual gamers are likely to pick up the console they can find at the lowest price, it is a great thing that there are some pretty good deals available for either console this Black Friday, which you can see below. Happy shopping!